This day tour includes transport by air-conditioned mini-van, local guide, 2 bottles of water and loan of parasols. Snorkeling equipment is optional. 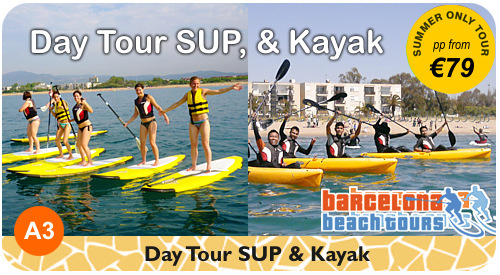 This beach tour is a perfect day trip for couples, families and small groups staying in Barcelona. We pick you up at your hotel or apartment and you spend 5 hours on lovely Costa Brava beaches and villages. Day Tour to the Pyrenees Mountains for exciting white water river rafting on the rapids of the Noguera Pallaresa river. 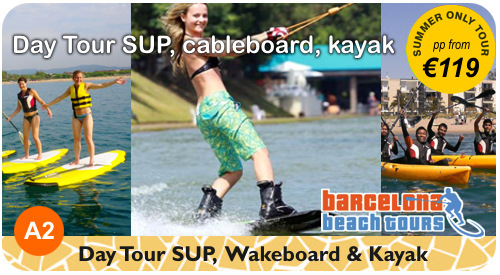 Your Barcelona beach tours guide will be with you all the way and a professional river rafting guide will provide instructions and steer the raft. Private small group tours outside Barcelona. Our private day tours are based on our standard tours which you can find in the left column of this website. We can make adjustments in the tour plan to suit private groups but our private tours do not include visits to sights in Barcelona - only outside. We do not offer airport transfers. Great for groups and families.